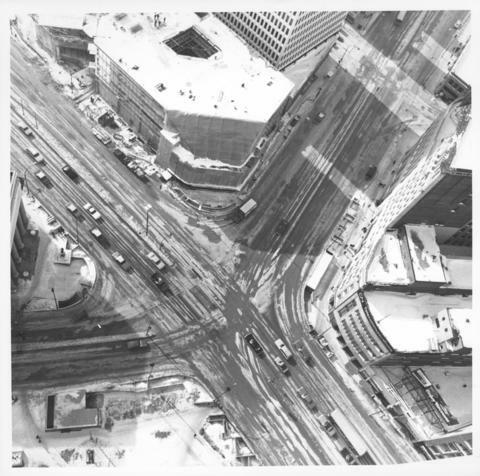 Photograph shows aerial view of intersection at Portage Avenue and Main Street (after barriers closing intersection to pedestrian concourse). Also shows Bank of Nova Scotia (Trizec Building) under construction. Photograph likely taken from the top of the Richardson Building.